With so many legs, a huge tail behind and two large claws to the front, why do crawfish back up? Every other creature defends themselves by displays of bravery, aggressive acts, head on charges or similar behavior. But, crawfish back up! How come? Maybe it goes back to Adam Crawfish and Eve Crawfish in the Pond of Eden. Eve listened to the serpent and crawled forward into his pot after a promise she would learn the difference between good seasoning and bad seasoning. She tasted the carrots, corn and mushrooms, then went to get Adam so he could as well. They called all their friends and when they went into the pot, Satan Crawfish slammed on the top and lit the fire. Since that day Crawfish have trusted no one and will back up most of the time. When they can't back up any further they raise their claws in prayer and ask only that the seasoning be right. Especially during Lent. Their main 'weapon' is on the front...the claws. They back up with the claws in position so that they can defend themselves. I'm not much given over to mythology - especially altered mythology. I always thought their transmission was broken. I had a 68 Plymouth with the same problem and it only went in reverse too. I must have gotten the same model, but mine always turned right. Trying to get to my house was always fun. 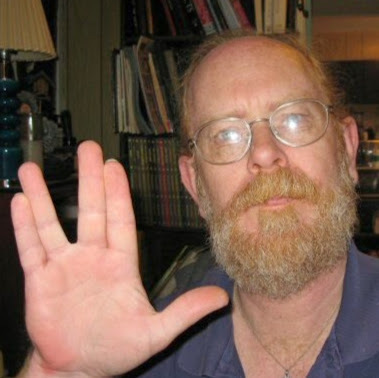 Yes, that's me...and you're obviously not a Trekkie. They don't just back up. They can also move forward. It depends on what they are doing. They rest in burrows with their offensive weaponry facing forward. When they are foraging for bait, like their much lobster cousins, they can sense, and dig up small shellfish. They can also catch small fish. I had a small lobster in a tank in our kitchen. It had a variety of small fish and shellfish. The fish liked to hang in the corners of the sides. The lobster would position himself (yes, it was a male) beneath the fish. Very slowly, like the minute hand on a clock, it would raise its open claw until the fish was between the open claw. The lobster would quickly close its claw. The fish was too big and it would break free of the lobster's grip, leaving a few scales settling to the bottom of the tank. While the craw cannot move forward very quickly, it can dart backwards to escape predators, sometimes. The also are like underwater bulldozers. They will excavate, and move materials around to make a burrow. I don't know about crawfish, but lobsters live in their own residence. Studies by the division of marine fisheries, have tagged lobsters to track them. Burrows were also marked, and when divers would check, the lobsters were always in their own burrow. I don't know for sure, but my educated guess would be that crawfish and their relatives spend more time moving forward than they do moving backward. I think they move back cause they know I'm coming through.